KABUL: A Nato helicopter crashed in Afghanistan on Wednesday, killing two Nato personnel in an area south of Kabul that is largely under Taliban control, officials said. 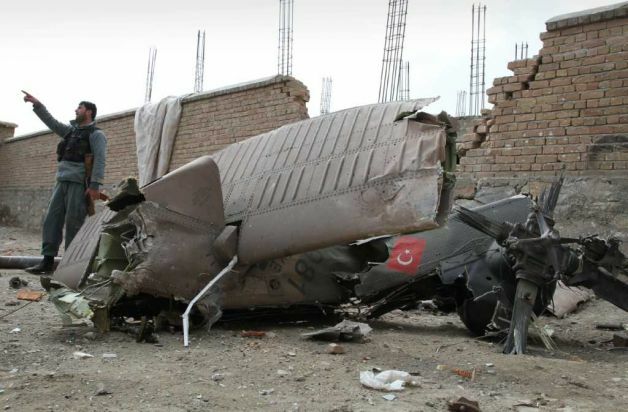 The militia leading a decade-long insurgency against foreign troops claimed to have shot down two helicopters in Logar province, but Nato said the cause of the crash was under investigation. A suicide bomber dressed in a burqa blew himself up near a French patrol in Afghanistan on Saturday, killing four soldiers and wounding five, one of the deadliest attacks on the French contingent in months, as the Taliban step up a spring offensive. “It was an unfortunate incident. 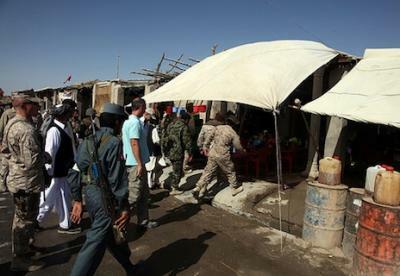 There was a patrol of coalition soldiers in a small bazaar and they were attacked by a suicide bomber wearing a burqa,” Afghan Interior Ministry spokesman Sediq Sediqqi told Reuters. French President Francois Hollande’s office in Paris confirmed that the soldiers involved in the attack were French. A statement from his office said among the five wounded, three were in a serious condition, and Hollande would despatch defence minister Jean-Yves Le Drian to Afghanistan on Sunday. Thousands of NATO containers had been grounded to halt at numerous terminals of Karachi after the deadliest strike of NATO helicopters’ on Pakistani security check post killing at least 24 soldiers and injuring 13 others on Nov, 2011. 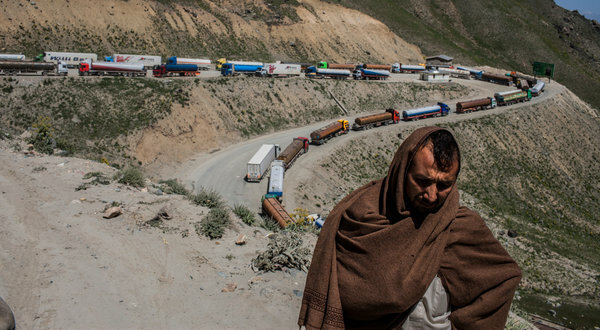 NATO trucks carrying fuel and other essential commodities to US-led forces to Afghanistan, remained stranded in Pakistan without overdue arrears of seven months. Resultantly, a dispute has emerged between the contractor companies and transporters on the issue of unpaid fares. Pakistan Goods Transport Welfare Association (PGTWA) chairman Haji Khan Dil Niazi has expressed concerns over the situation and demanded for the release of dues. “After the Salala incident, the government had asked contractor companies to lay off NATO goods at Karachi Port Trust and Port Qasim but the concerned authorities had not implemented the orders and despite the passage of seven months NATO trucks are still stranded in numerous terminals”, he added. He said transporters had purchased trucks on monthly installments and now they are unable to deposit payments. He said the contractor companies have refused to give seven months arrears because they believe halt of NATO supply is not their fault. 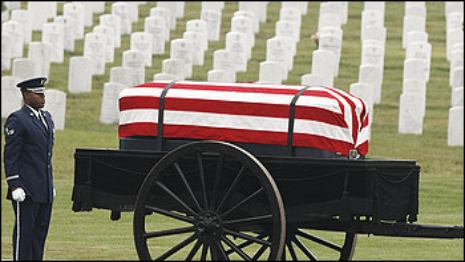 PGTWA warned that the transporters will not resume NATO supply until the release of arrears. KABUL, Afghanistan — An attacker wearing an Afghan Army uniform opened fire on coalition soldiers in remote eastern Afghanistan on Friday, killing one NATO service member, the coalition said in a statement. KABUL, Afghanistan (AP) — The Afghan government is giving companies extensions ranging from a few weeks to 90 days to change from private security guards to a government-run force, officials said Sunday. The reprieve comes just three days before the March 21 deadline that the Afghan government had set for the majority of companies to start using government-provided security. Private development companies have said the move is threatening billions in U.S. aid to the country because companies would delay projects or leave altogether because they didn’t feel safe using strictly local security over whose training and procedures they have little control. President Hamid Karzai has railed for years against the large number of guns-for-hire in Afghanistan, saying private security companies skirt the law and risk becoming militias. It’s been part of Karzai’s larger push for more control over the way his international allies operate in Afghanistan, as seen most recently in his call for NATO troops to pull back from village outposts and to hand over security responsibilities to Afghans more quickly. Karzai said in 2009 that he wanted private security firms abolished and eventually set the March deadline for all companies except military or diplomatic facilities to use government guards. The ban would effectively end the wide-scale presence of foreigners acting as security contractors, an industry that boomed after the invasions of Iraq and Afghanistan. KABUL, Afghanistan | The Afghan Public Protection Force signed its first contracts for security service today with three companies, marking an important milestone in the ongoing transition from Private Security Companies to the APPF. The Minister of Interior, Bismullah Khan Mohammedi, presided over the ceremony and thanked APPF leadership, the NATO International Security Assistance Force, and the U.S. Agency for International Development for their support in executing the transition to APPF-led security services. “From this day on, the responsibility for security services will transition from private security companies to the APPF, one after the other,” said Minister Mohammedi. APPF Deputy Minister Jemal Abdul Naser Sidiqi signed three contracts with International Relief and Development (IRD), one with Louis Berger – Black and Veatch, and another with AFGS. IRD and Louis Berger – Black and Veatch are both USAID implementing partners performing development projects around Afghanistan. “We welcome this security transition as a natural step for Afghanistan,” said Bill Haight, representing the Louis Berger – Black and Veatch joint venture.